Vitamin C is the holy grail of skin care. Vitamin C boosts collagen to smooth and prevent wrinkles, it lightens discoloration and scars, curtails acne, and generally refines the texture of the skin, making it brighter and smoother. It even can reduce the appearance of dark undereye circles. But a Vitamin C serum can be harsh on the skin. If you have sensitive skin, how do you choose a quality Vitamin C that is effective but won’t leave skin irritated? 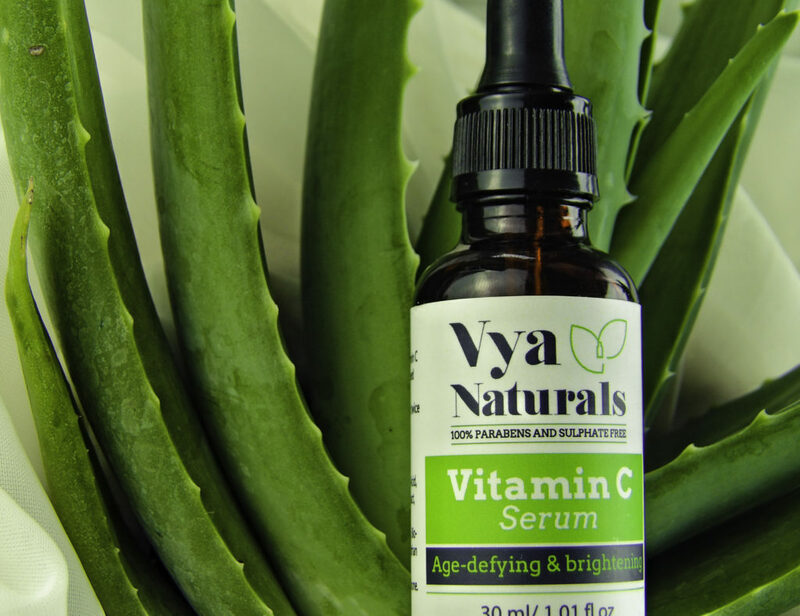 We recently tried Vya Naturals Vitamin C Skin Serum, a powerful C Serum with hydrating Aloe Vera and Witch Hazel to soothe and treat skin. COLLAGEN PRODUCTION: Vitamin C provides the building blocks for the body creating more collagen, which is key to slow down wrinkle formation and skin sagging. Vitamin C is also useful for skin of any age because it fades discoloration from sun damage and acne scars, and it provides a smoother, more refined, even skin surface. Vitamin C is an anti-oxidant that fights free radicals. Free radicals age skin prematurely. Vitamin C does wonders for the orbital eye skin, including dark circles, crow’s feet, fine lines and wrinkles, discoloration and sagging. 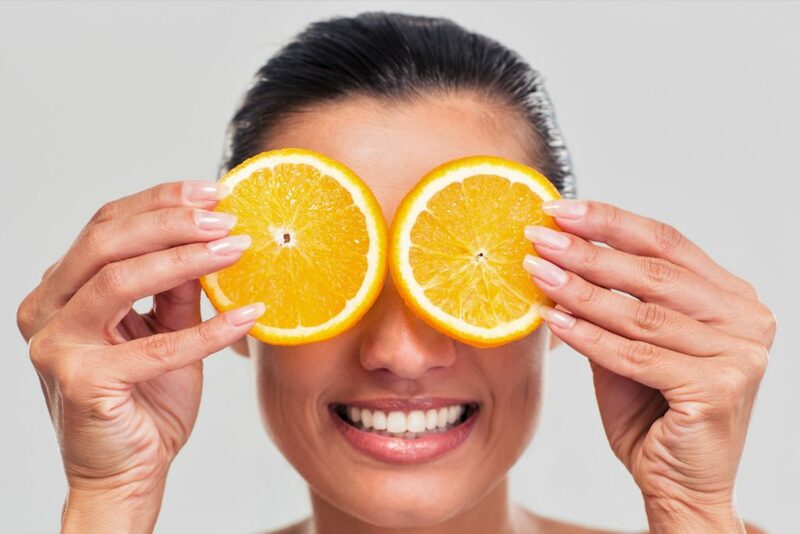 Few powerful ingredients strong enough to combat the signs of aging are as well tolerated as Vitamin C can be around the eye, as long as the area gets enough moisture and hydration. 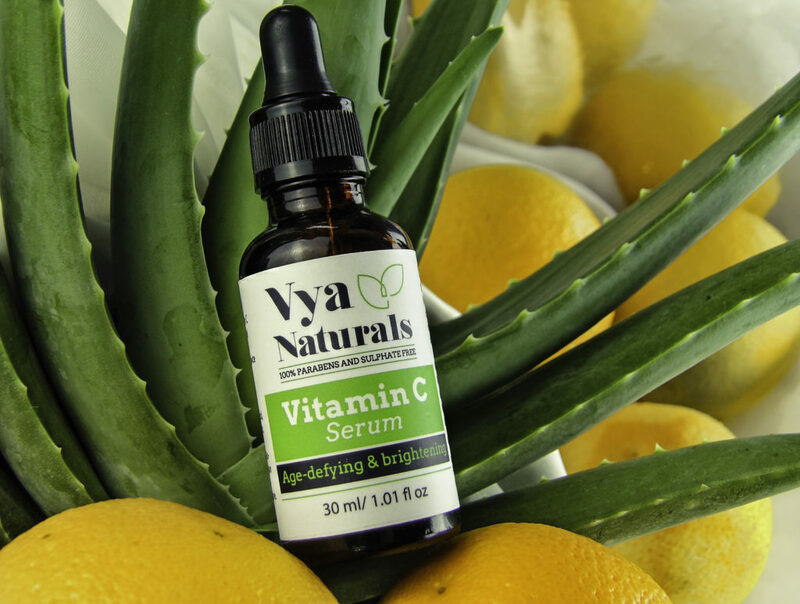 Vya Naturals Vitamin C Skin Serum has the distinct advantage of using natural ingredients without harsh and unhealthy chemicals such as parabens or sulfates. Vitamin C is highly effective but also can irritate the skin and leave it feeling tight and dry. Aloe Vera feeds the skin and softens the texture. It also helps moisturize and defend skin from irritation. Vya contains Aloe Vera to nourish and soothe the skin. 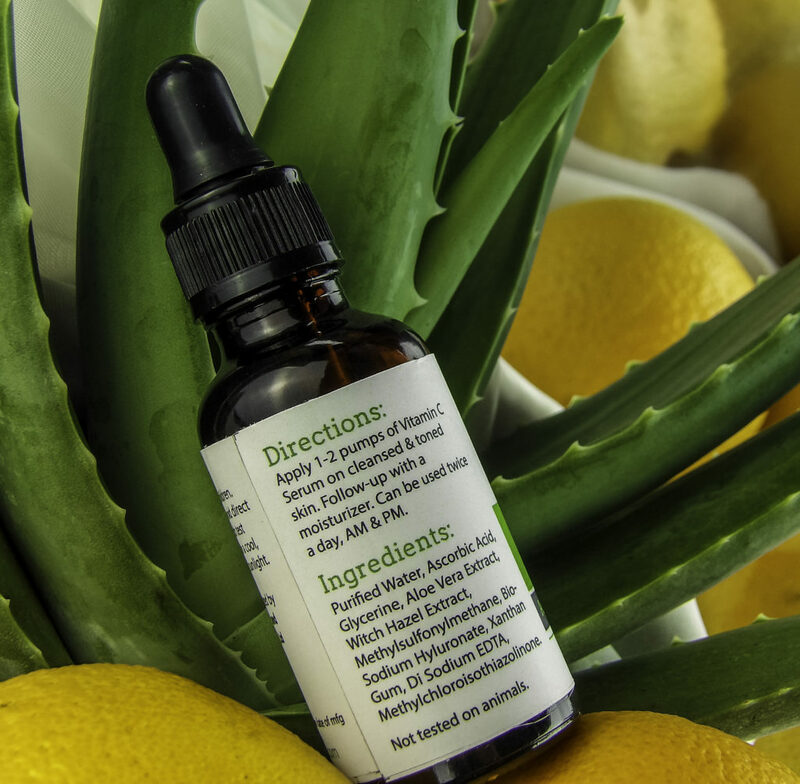 The same properties that make Aloe Vera effective for burn treatment also create a hydrated, healing environment for even sensitive skins tolerating daily Vitamin C topical application. This is vital to a Vitamin C serum so skin can tolerate the treatment, as some Vitamin C’s can leave skin red, dry and flaky. Aloe Vera also provides nourishment to the skin as it contains Vitamins A, C, Bs, and E. This skin “food” hydrates and accelerates skin cell growth and provides anti-inflammatory and anti-bacterial properties. Vya also has Witch Hazel, which contains tannins. When applied directly to the skin, tannins reduce swelling, help repair broken skin, and fight bacteria. This aids the Vitamin C’s capability to reduce acne breakouts and assists in skin renewal. Dispense two pumps of the serum onto the palm of the hand, rub hands together to spread and distribute the serum evenly. Apply the serum onto clean skin, starting in the center and moving outwards in gentle strokes. Use twice a day for best results. Lightweight texture, more liquidy than gel-like. It goes on smoothly and does not dry sticky. It is suitable for use under makeup, creams, sunscreen, and lotions. My skin is not dry or irritated and is it easy to tolerate. My breakouts are reduced and my skin appears brighter, some minor discoloration such as acne scars and a few brown spots has begun to fade. My crow’s feet appear much softer. My undereye area tolerates the Vitamin C well, so I am excited to see the progress that can be made reducing the discoloration of my dark circles. 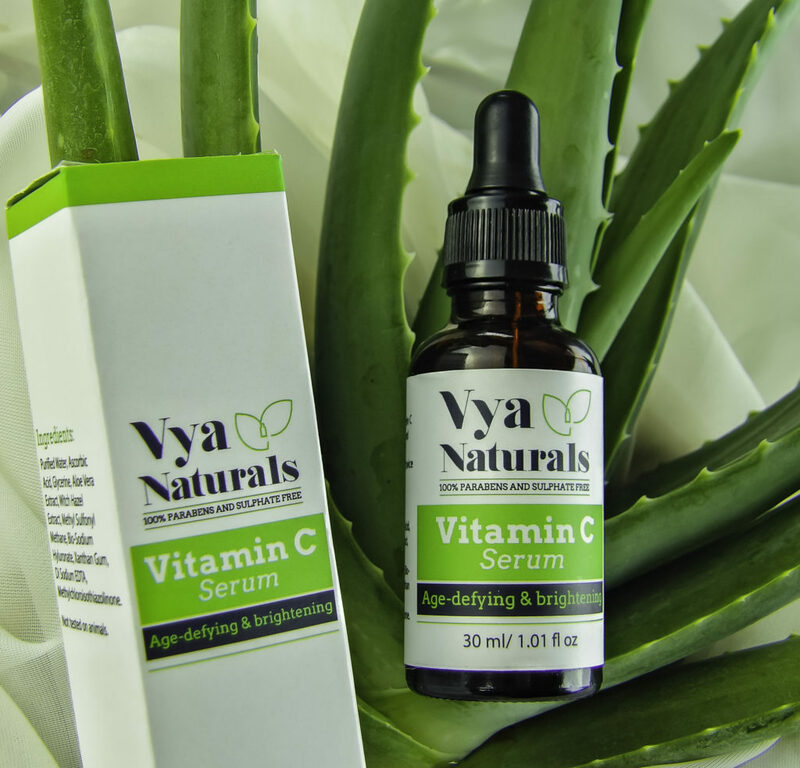 I like that Vya Naturals Vitamin C Skin Serum is powerful enough to get results but soothing enough to be tolerated on the delicate undereye area, as many anti-aging products are too harsh for the wrinkles under and around the eyes. It is also well-tolerated on the throat and around my mouth. Visible signs of collagen production such as wrinkle reduction and the reversing of sagging take about 8 weeks. 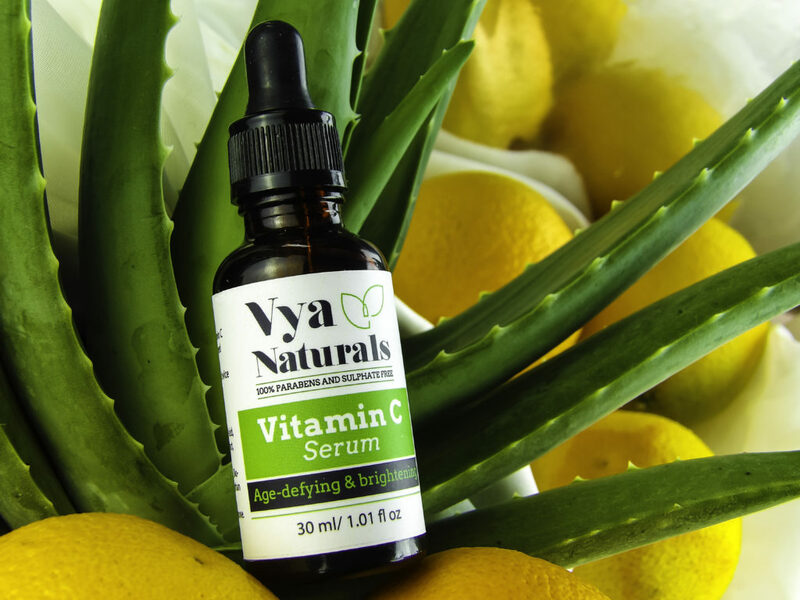 Powerful enough to tackle brown spots, acne wrinkles, and sun damage, but gentle enough to be used by those with sensitive skin, Vya Naturals Vitamin C Skin Serum provides twice a day treatment to eyes, face, and throat twice a day in a bottle large enough to last two months. It is not sticky or greasy, it goes on smooth and can be worn under makeup, sunscreen or lotion. Style Chicks received Vya Naturals Vitamin C Skin Serum in exchange for our unbiased review and received compensation for our time and effort. However, our experience with the product and the opinions expressed in this review are 100% ours.